Responsive WordPress theme with and stunning visuals built for Nightclubs, Bars, Festival Event websites and Music Bands in general. Add unlimited color styles to background, headers, buttons and all theme elements with the included WordPress Customizer and change your website style in one click . Add your SoundCloud mix in one click using Nightclub’s own SoundCloud widget to showcase your playlists and individual tracks from SoundCloud in your website. Schedule, edit and add upcoming events on the included Events Calendar widget and custom page templates. 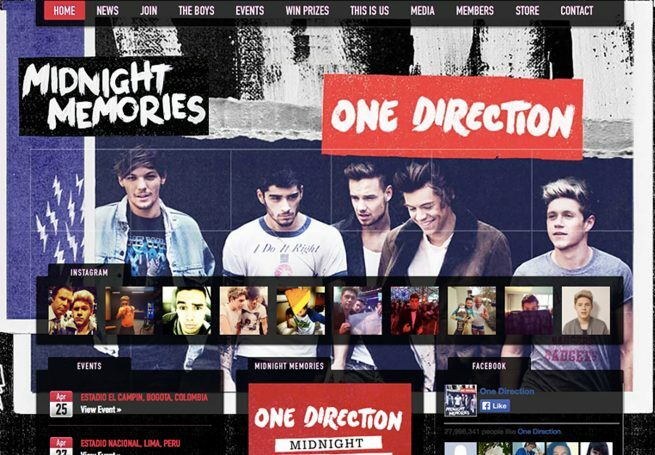 Schedule future events with the included Event Calendar and display all your upcoming event sin the gorgeous event calendar custom page template. 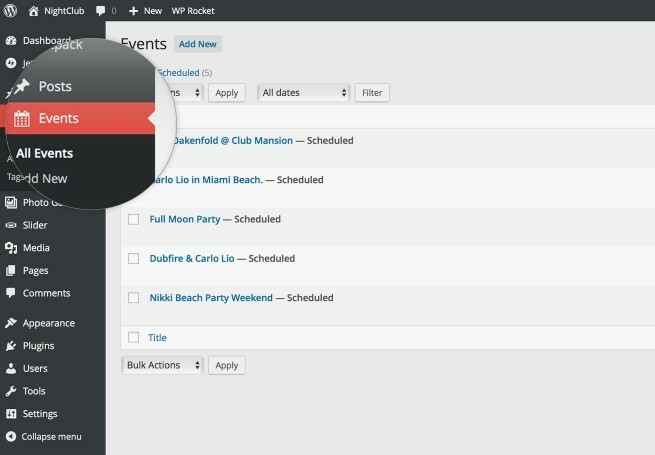 Add event date, featured images, photo galleries, video, venue maps and all event information in the included Event Calendar module in your WordPress dashboard. 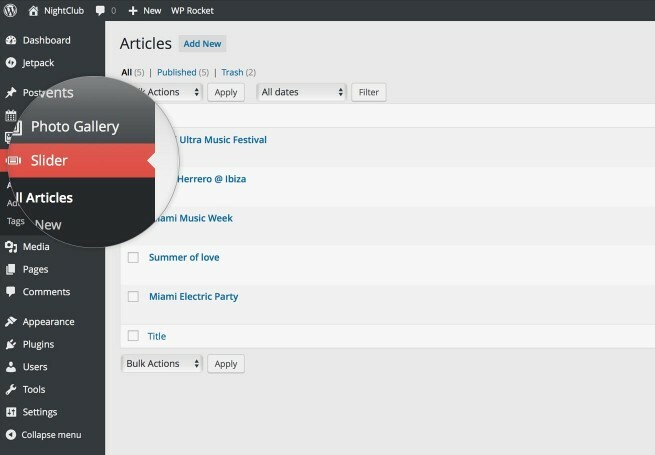 Change the status of any particular event anytime using the familiar WordPress dashboard interface. Add unlimited featured articles and showcase your events and photos with the included carousel slider. The slider is mobile responsive and retina ready, showcase your events and beautiful photos on any device with this modern mobile touch-friendly slider and swipe to navigate your articles and photos. Link directly to external websites or your own articles with a click of a button.